Riley Blake Designs "Medium Dots" by Riley Blake Designs. 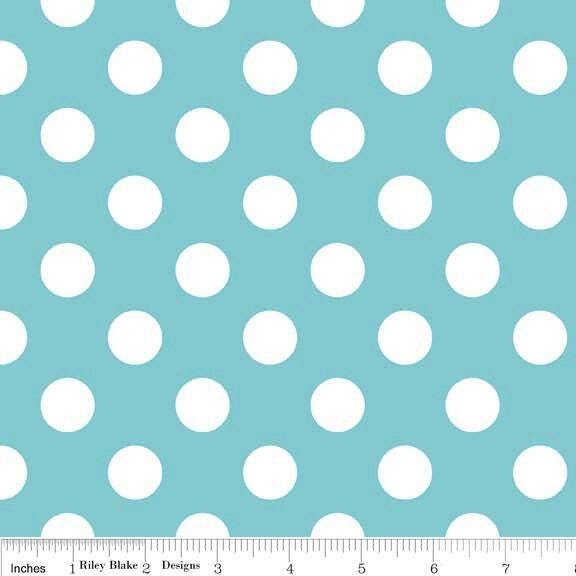 100% cotton, pattern C360-20 Aqua. Pattern measures 3/4" in diameter. Everything is as advertised, colors matched what I was pairing them with and my bubble quilt came together nicely, lovely seller as well. Thank you, very nice fabric!